Shameless Promotion of My Fellow Writers: Lots of Good News! I just want to give a shout-out to three amazing writers who also happen to be wonderful people who have very good news to announce this week. My friend, Michael J. Infinito, Jr. over at The Wizardry of Otin signed contracts for both of his novels! His first novel, In Blog We Trust was picked up by Black Rose Writing and his second novel 12:19 was picked up by MuseItUp Publishing! I'm very happy for Michael. He has been an incredible friend to me and his books are non-stop thrill rides that will make the hair on the back of your neck stand up--in a good way! 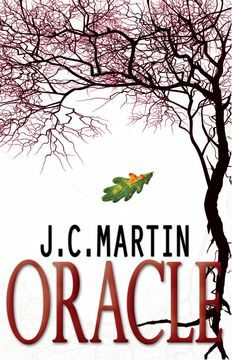 Another writer I am friendly with who is also one of my critique partners, the lovely J.C. Martin of Fighter Writer is getting ready for the release of her debut novel, a psychological thriller, Oracle. The official release date is 7/30/12 but the book is actually available right now for you Kindle on Amazon here and in the UK. This book is amazing--fresh and original. Not your average serial killer book. Also it takes place during the 2012 London Olympics so you should read it while you're watching the Olympics! On August 5th I will have J.C. here for a guest post. Finally, I was so happy to see all over the writing blogosphere that the wonderful and hilarious, Cassie Mae of Reading, Writing and Lovin' It has an agent! She just signed with Brittany Booker at Corvisiero Literary Agency! I can't wait to hold one of her books in my hand! I'd like to send out a big woo hoo for all three of these very talented writers! I love when something amazing happens to my fellow writers! Keep pulling the rope, people! Dreams do come true! It was a big week! And I can't imagine signing contracts with two publishers at once! Michael is going to be busy! Love Jaycee's cover...simple and beautiful. Big congratses to all! What a week! Excited for JC and Cassie! Awesome! So much good news and inspiration!! Woot! :D It's been nothing but good news all summer. I can't believe Michael got 2 separate deals in one day! Amazing! Thanks for the link to JC's book. I did a search on Amazon this morning & nothing came up. And I'm so darn happy for Cassie. She truly deserves this! So much good news! Congrats to Michael, J.C. And Cassie Mae!! I love reading good news like this! Great way to end the week! It seems like everywhere I go, I'm hearing of great news! It's wonderful to hear of, and I'm so excited for Cassie, J.C. and Michael! Cheers! This seems like such awesome news! Congrats!